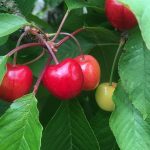 The cherry orchards are split into two, comprising some very old 60 foot trees which provide a wonderful spectacle when in blossom, and our 4 acre commercial crop of 7 foot trees. 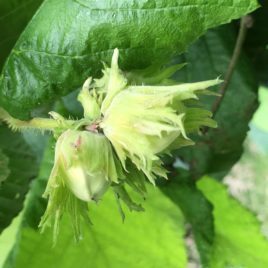 The commercial crop has 5 varieties, described in more detail in the drop down, which crop over a period of approximately a month around July time. Sadly the old trees are not available for rent. 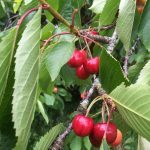 The cherry orchards are split into two, comprising some very old 60 foot trees which provide a wonderful spectacle when in blossom, and our 4 acre commercial crop of 7 foot trees. The commercial crop has 5 varieties, described in more detail in the drop down. 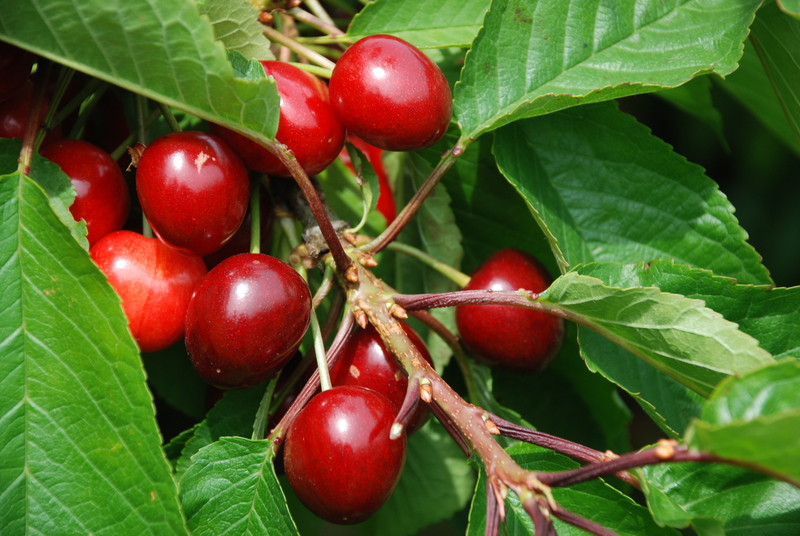 The cherries are harvested for approximately a month, mostly in July. Sadly the old trees are not available for rent. Oh wow! What a fabulous first year of renting this was – a Hartford and a Sunburst. 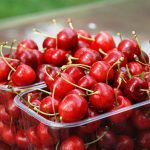 The Hartford yielded two huge fruit boxes full of delicious sweet cherries. 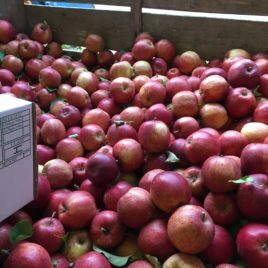 Some splitting this year from the heavy rains a week ago, but didn’t matter at all – taste all there! The Sunburst were even sweeter if at all possible, although crop lower – as indeed advised on web site. 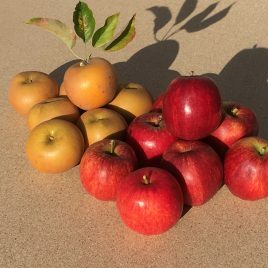 Huge thanks to generosity of Mark for allowing us to pick some off adjacent trees to make up for that, although to be honest the huge crop of Hartford more than compensated for the lower yield of Sunburst. 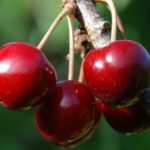 To add to the cherry harvest was the pleasure of a day picking in the sun with friends (recommend day out with family/picnic) – and meeting fruit farmer Mark with his infectious enthusiasm for the fruit, the growing, and the simple pleasures of enjoying real food fresh from the tree. 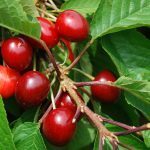 As well as heaps of fresh cherries for family/friends, many are now frozen (whole frozen cherries work fabulously when defrosted into fruit salads/stirred into yoghurt and desserts etc … and not a few are steeped in alcohol of various kinds for enjoyment later in the year and for Christmas prezzies! 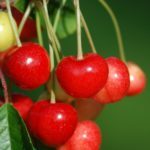 Can’t recommend highly enough, and will be back later this year for apples and nuts as well as for cherries again next year. IF IN DOUBT, GO FOR IT!! All fruit can be picked from the ground (no need for ladders!). Fruit handling and picking guidance will be available on request. Each tree rental lasts one picking season (March to October). For further info please refer to our terms and conditions.